The crusade against corruption will never succeed unless there is a powerful anti-corruption agency, with a Director of impeccable integrity at the helm. The CBI Act, which has been gathering dust, ought to be speedily enacted to insulate the entity from extraneous pressures and influences. For this, there are models in other countries which can be suitably adapted. The new Director of the Central Bureau of Investigation, Mr Rishi Kumar Shukla, faces a daunting challenge. He has inherited a depleted legacy and will have to address various problems. As the country’s premier investigating agency, the CBI is almost facing an existential crisis. It is, at present, riven by internal dissensions, turf wars, demoralization of officers and a poor public image. 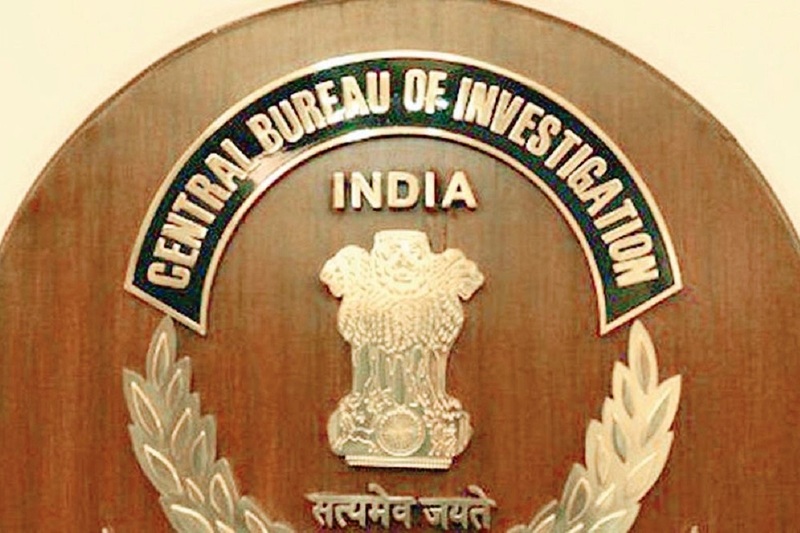 The major task before the new Director will be to burnish the image of the CBI and restore its previous reputation. This is a difficult task, but it can be achieved nevertheless. The CBI was set up in 1946 under the Delhi Police Establishment Act. Its first Director was DP Kohli, a respected officer of very high integrity and competence. He had built up the organisation with almost unrivalled commitment. He was followed by two other outstanding Directors, F Arul and John Lobo. Bright, and upright officers were inducted into the agency, which soon earned plaudits from the public for its thorough investigation of complicated cases. I still recollect that in the 1960s and the Seventies, it was a matter of pride and prestige for young IPS officers to be selected for deputation to the CBI. I felt dejected and depressed when I was selected for CBI deputation but was not released by the state government on flimsy pretexts. The organisation also recruited its own officers and had a pool of committed personnel, skilled in the art of investigation. Excellent and painstaking investigation of the Rajiv Gandhi assassination case, Mumbai serial blasts post the demolition of Babri Masjid, and many other cases, was appreciated by the courts and civil society. Even now, despite criticisms and adverse publicity, whenever there is any sensitive or complicated case, there is a public demand for a CBI probe. There is greater public trust in the CBI than the politicized police… in any state for that matter. The conviction rate in cases investigated by the CBI is much higher than the cases probed by the police. But the problem arises in respect of cases where the ruling party at the Centre is involved, or interested. Pressure is exerted on the CBI to toe the line, and more often than not, it capitulates. The public cannot be blamed if it draws adverse inferences. Indeed, the decline of the CBI started during the Emergency. Its Director at that time, Mr D. Sen, was a very capable and competent officer, evoking fear and awe among subordinates. 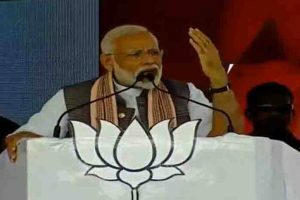 However, he failed to withstand the pressures and pulls exerted by Sanjay Gandhi and his cronies, and allowed the CBI to be used as an instrument to perpetrate excesses. The Shah Commission, which enquired into the excesses committed during the Emergency, deplored the politicization and held that CBI’s action was mala fide and that it had become an instrument to harass the people. The Commission also observed that the CBI Director should be selected carefully, as credibility of the organisation will depend on his character and competence. He can make or mar the organization. He should be completely apolitical, incorruptible and neutral. A man without spine at the helm of a powerful entity like the CBI will be a disaster. This catastrophe did take place recently. Some venal Directors sullied the image of the agency and public confidence was eroded. The new Director assumes charge at a critical juncture. Infighting, brazen factionalism, and unseemly wrangles among the most senior officers has undermined the entity. There are rival camps within. The previous Director and Additional Director fought like Kilkenny cats, and both had to be shunted out. The Supreme Court found merit in some of the allegations against the erstwhile Director, Alok Verma, and approved his transfer to an inconsequential post. The transfer of a number of officers, reportedly close to the former Director, by the interim Director M Nageswar Rao triggered controversies and smacked of vindictiveness. Rao’s action to despatch a team of CBI officers to question (and perhaps arrest) the Police Commissioner of Kolkata was unwarranted, and gave rise to the suspicion that it was a command performance. He arguably had exceeded his brief. Another unexpected but stinging attack on the CBI has come from the Finance Minister Arun Jaitley, and with some justification. He has accused it of “investigative adventurism”. In this grim and forbidding scenario the task of the new Director is going to be Herculean. He has to hold his ground and ride out the storm. First, he will have to take determined steps to set his house in order and rein in the warring factions. With the healing touch, he will have to rebuild the team and revive the esprit de corps. The very fact that he has no prior experience of working in the CBI (an argument used against him by one member of the Selection Committee) will make him more objective and free from inherited biases and help him to take a fresh and hard look at the functioning of the Bureau. To liberate the “caged bird” he will have to firmly resist extraneous pulls and pressures. Now under the amended Delhi Special Establishment Act, he enjoys a tenure of two years and cannot be transferred without the approval of the high-powered selection committee? It is a pity that the fixed tenure has been misused by some unscrupulous Directors in the past for self-aggrandisement But statutory safeguards alone will not suffice unless the Government also comes forward to strengthen the Director’s hands and allows him to function independently. He has to be given a free hand in the induction, promotion and transfer of officers. No officer ought to be imposed on him. As witnessed recently, an “imposed officer” can wreak havoc. The Supreme Court in the Vineet Narain’s case (better known as the Hawala case) directed that the Central Vigilance Commissioner (CVC) will exercise superintendence over the CBI with regard to cases registered under the Prevention of Corruption Act, but the superintendence of the CBI in all other matters rests with the Government. The opinion of the Ministry of Law decides the fate of CBI cases. It is the Ministry of Law which influences the final decision in any case of interest to the government. This is done through the CBI’s Director of Prosecution, working under the Government’s control. The closure of the Bofors case is one major example. The CBI Act, which has been gathering dust, ought to be speedily enacted to insulate the entity from extraneous pressures and influences. For this, there are models in other countries which can be suitably adapted. The tenure of the Director of CBI can be extended to three or five years, instead of two. The tenure of the Director FBI is ten years. But there should be a clear stipulation that on retirement, he should be barred from holding any office under the Government. The appointment of a CBI Director as a state Governor or Member, National Human Rights Commission is highly improper. It sends a wrong signal and enables the government to dangle carrots before the incumbents and thus manipulate them. Another factor that militates against the efficiency of the CBI is that its charter has been widened to deal with various other forms of crime not connected with corruption. At present, the CBI refuses to undertake investigation in many cases, but later has to accept some of the cases under the court’s orders, or due to pressure of public opinion. Again the strength of the CBI as an effective instrument to combat corruption has to be substantially enhanced. At present, the annual reports on the working of the CBI hardly figure in discourses, either in public or in Parliament. Strengthening and de-politicization of the CBI is imperative. The crusade against corruption will never succeed unless there is a powerful anti-corruption agency, with a Director of impeccable integrity at the helm.